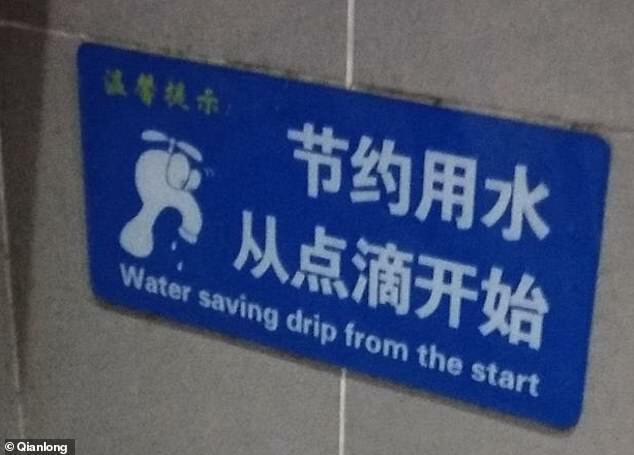 Authorities in Beijing are now ramping up efforts to remove public signs with poorly translated English ahead of the 2022 Winter Olympics, state media said. 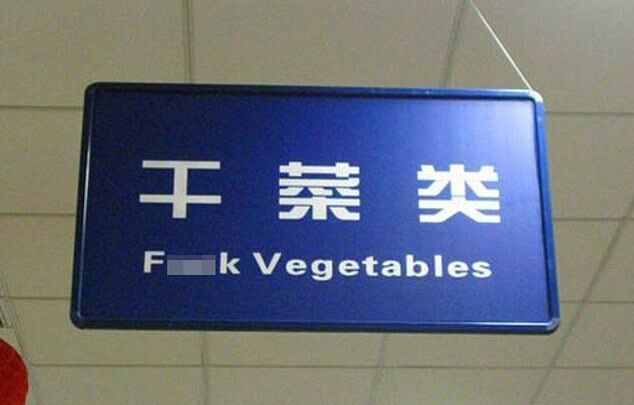 The city-wide correction campaign has been targeting mind-boggling public notices that are marred with spelling and grammatical errors, as well as offensive language, including 'F**k Vegetables' instead of 'Dried Vegetables' on a sign in a supermarket aisle and 'Exit for Racist Park' instead of 'Ethnic Minorities Park' on a highway. 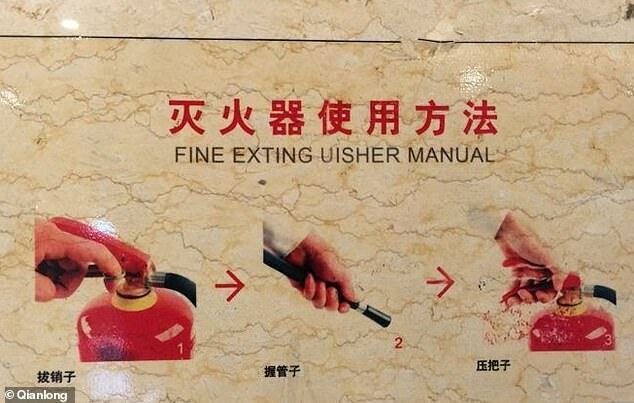 Beijing's foreign affairs office has vetted the English translations of more than two million Chinese characters on signs and notices in the capital city since a national standard took effect on December 1 last year, Xinhua news agency reported. 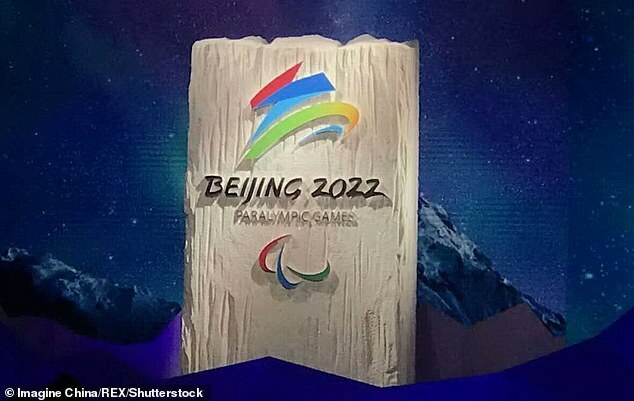 Zhang Qian, deputy director of the foreign affairs office, called for passing new regulations on signage translations as the city prepares for the 2022 Winter Olympics and thousands of visitors. This is especially important for private businesses, where owners often resort to the Internet for quick solutions, forming 'a new citadel for wrong translations', she said. 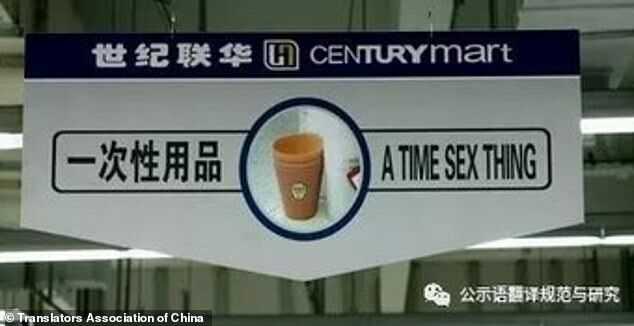 Signs in Beijing's public spaces and restaurants were first thrown into the limelight during the 2008 Olympic Games, when pictures posted by foreigners went viral online. 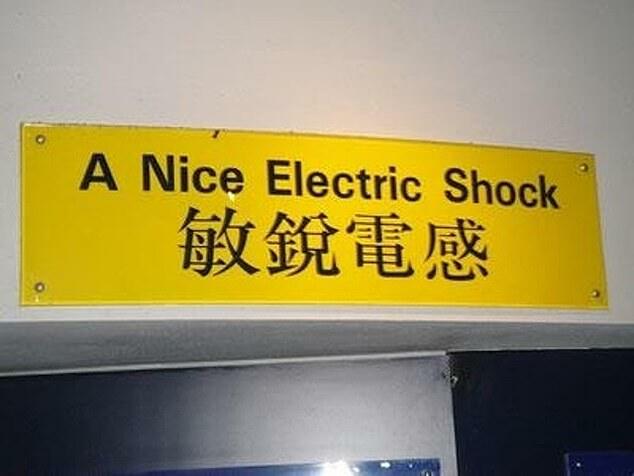 The unintentionally hilarious notices often include what is otherwise known is Chinglish, where translations can be too literal. 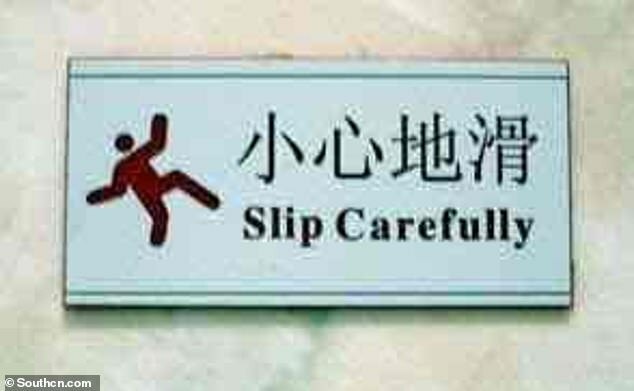 Examples include a sign in a washroom telling people to 'Slip Carefully', when it meant to say 'Caution Wet Floor'. 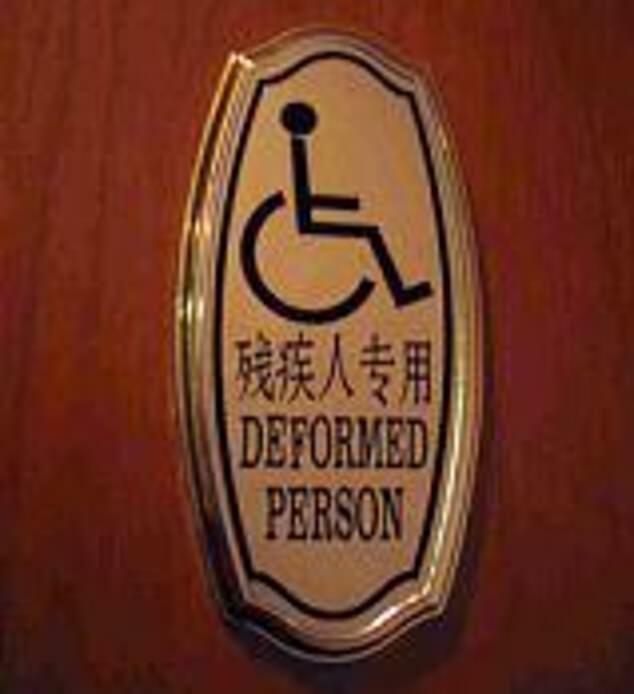 Another notice on the accessible cubicle read 'deformed person'. Others stumbled at polysemantic words - words with multiple meanings. 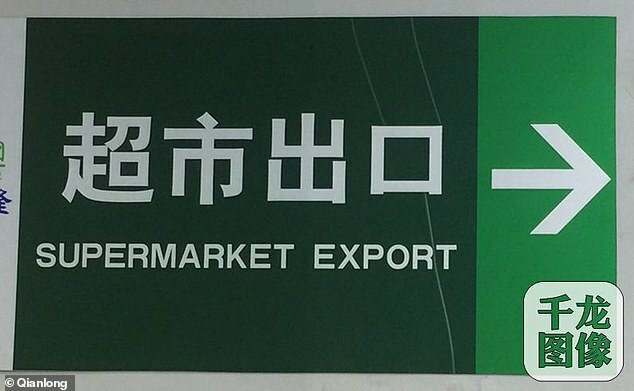 Hence, a sign at a grocery store indicating an exit read 'Supermarket Export'. 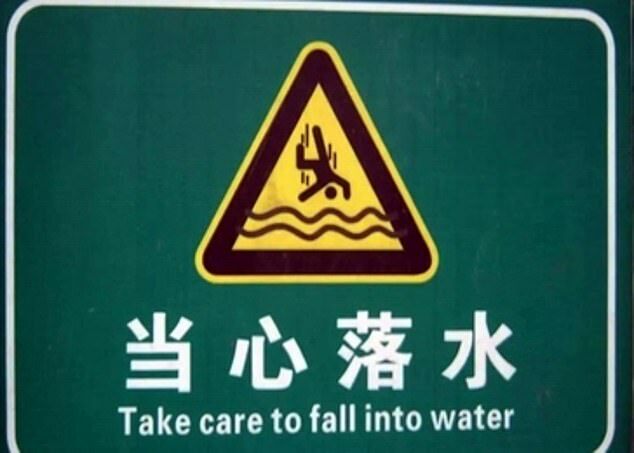 Export and exit share the same word in Chinese. 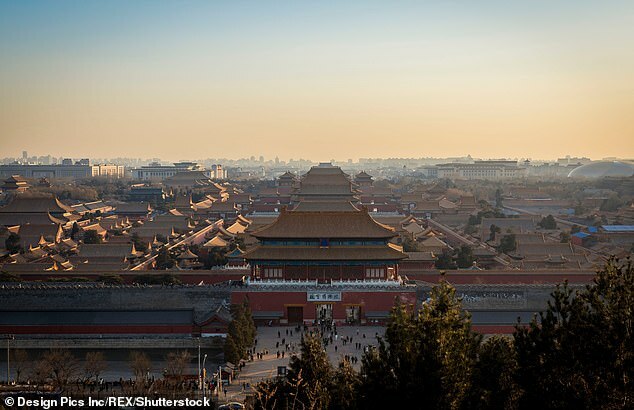 Working with Chinese and foreign experts and volunteers, the Beijing this year has vetted notices in the central business district (CBD), hotels and other areas frequented by foreigners, as well as public venues like schools and hospitals, Xinhua said on Monday. 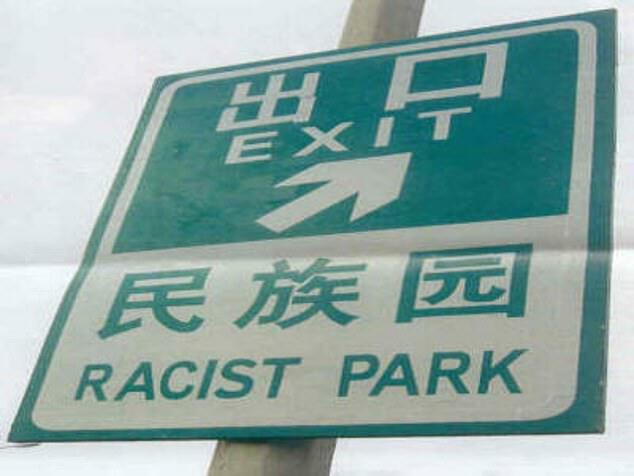 'Translations of public signs not only help foreigners, but their quality also shapes the image of a city,' said Chen Mingming, executive vice president of the Translators Association of China and advisor to the correction campaign. At the same time, the government has launched a dedicated website in March this year to encourage locals to help with the campaign. The website also contains lists of government-approved English translations on subjects such as hospitals, restaurants, shopping, and sporting events for reference. The international winter multi-sport event is scheduled to take place from February 4 to 20 in 2022 in Beijing and towns in the neighbouring Hubei province.